El Salvador joined the Ambassadors Family in May of 2018 under the direction of Jonathan Maltez. The Lord used a Christian soccer program to help change Jonathan’s life which eventually called him to pursue soccer ministry. Jonathan began with a soccer school located in a poor community filled with local gang activity. 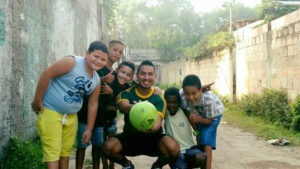 A few years later soccer ministry became his fulltime vocation and Jonathan started more soccer schools in new locations throughout El Salvador. The ministry has now grown to include the training and support of coaches and leaders in the church to use soccer to reach the lost for Christ. Jonathan also serves in a youth center where the majority of people at the center are active gang members. Along with his soccer project he is teaching some of the kids to read and write and also teaching others to speak English. 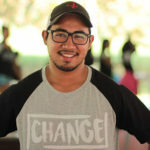 Jonathan believes in the power of being a great coach and wants to see an army of men and women using the platform of soccer to change the future of El Salvador and to disciple the next generation of leaders in God’s Kingdom.